“. . . to help those who are hurting, with the realization that life will get better, much better. It is also to honor the 3 students killed at Chardon High School in Ohio on February 27th 2012, which is only 10 miles from my home. I will ride in their honor and also for 3 young adults I knew from my hometown, who took their own lives. Starting on October 20th 2012 I am riding The Kindness Bicycle and The Kindness Bus around the perimeter of the United States, beginning and ending in New York City. On the average, 4,200 young adults, 14-25 years old have lost their lives to suicide, every year, in the United States. For every 1 who does, 10 more try. I will comfort those hurting. I will help those being hurt. I will help you realize your importance in the world. You are needed and you are loved!! If you are a bully, help others, don’t hurt them. Realize the harm you are causing. The R.O.C.K website is http://www.onemillionactsofkindness.com/. Be sure to check it out, and if the spirit moves you, make a donation to help Bob realize his mission: To save kids’ lives. Posted by Karen Coombs on March 29, 2013 in Uncategorized and tagged Bob Votruba, Bullies, Bullying, Bullying awareness, Fighting back against bullying, One Million Acts of Kindness, Ring Our Country with Kindess tour, Standing up to bullies, Stop Bullying Speak Up. Thanks so much for highlighting such a positive effort. Keep up the good work! Hi Folks! The bullying epidemic has spread far and wide, please help to spread to message of Anti-Bullying just as far, if not further. Singer Becca Levy is also hoping to raise awareness on the bullying epidemic. Help spread Becca’s message by watching her video to Coldplay’s “Fix You”. The link for the video can be found below. I like to call myself a senior senior, rather than ‘old’. It makes me so angry to read about bullying, and just this week a 15 year old girl in Ontario has committed suicide because of it, and other demeaning happenings to her. I am angry because of the low mentality and lack of a conscience so many young people (and older) have that gives them the right to take the life of a child who was, hopefully, brought lovingly into the world, nurtured, fed, clothed, guided, etc. thru their life only to be made miserable because – why? Only to find them hanging on the bathroom door. As I said I am what I am and don’t know exactly what I can do, other then talk about it. Parents to be more aware of their child who appears so normal in all ways, talk to them every day about their day, say a prayer with them every day, Involve them in all the good things available – music, sports, writing, art, drama- there is no end. If money a problem there are org. that will help. Watch your other kids in the house. Are they bullying one of their own? Spend lots of qualitiy time, altho’ I know it is limited in many cases. I have been there, done that, having 7 children behind me, and now a parcel of grands and greats. 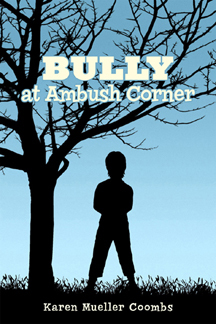 If you feel something amiss, stand behind a tree at the school yard on dismissal and observe. If your child tells you that their friend is being bullied, take it seriously, it may be him/herself they are referring to. If a friend, do something. If a school problem talk to the princ. Do something. Speak to your pastor and elders in your church., Do something. Just don’t nod your head and smile. DO SOMETHING. Shake somebody up. Every chilld needs a hero.